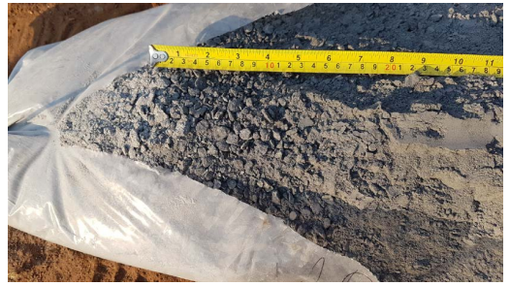 Tando Resources (ASX:TNO) has received its first assay results from its drilling program at the SPD Vanadium Project in South Africa. The results are whole-rock or pre-concentrate grades. 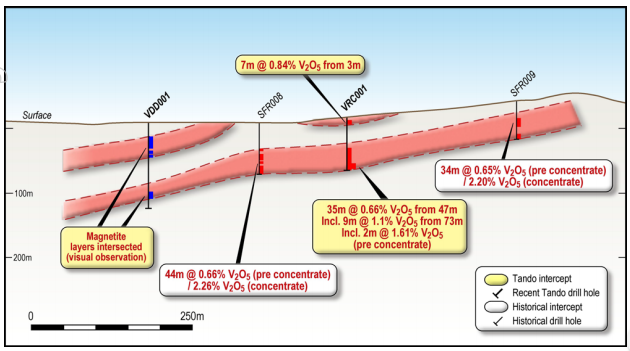 Historical drilling adjacent to VRC001 returned magnetic concentrate grades above 2.2% vanadium. VRC001 is part of the Phase One drilling program which targets the well-established SPD deposit, where a current foreign resource of 513 million tonnes at a grade of 0.78% vanadium (as defined under the SAMREC code) resides. TNO has noted that the aim of Phase One is to allow a maiden JORC Mineral Resource to be calculated, with the drilling now well advanced on site. The company anticipates that drilling will be completed early next week, with the resource to be published sometime in the next month following receipt of assays from all drillholes. Drilling will then move to exploring the potential of the surrounding high-grade vanadium at SPD to support a Direct Shipping Ore (DSO) operation, which is expected to start next week. The drilling contractor has recruited employees from local communities as part of drilling activities. TNO expects this to be the first of several opportunities to provide employment and training benefits for these communities. The company is also preparing its Phase Two drilling program at SPD, which will be geared towards upgrading the maiden JORC resource to an Indicated category (if results are as anticipated). To achieve this goal, Phase Two is currently designed to comprise of 58 holes for 5,550m. TNO estimates that the cost to complete the entire Phase 1 and 2 program and the resultant resource estimations is estimated at A$1.4 million. The company has sufficient funds to complete the planned program and subsequent metallurgical and mining studies. Currently, 85% of the world’s vanadium is produced in China, Russia and South Africa. 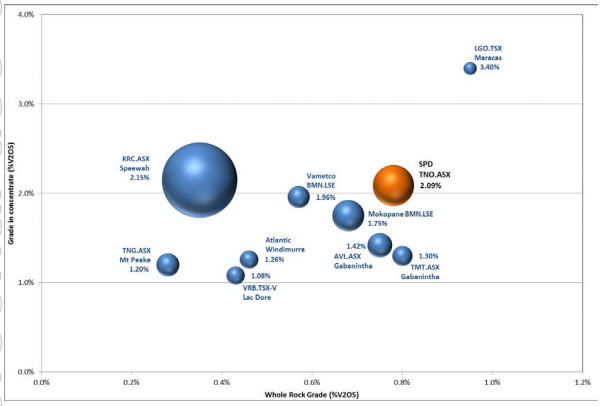 The SPD Vanadium Project is located in one of these regions and has the potential to be of global significance based on the tonnage and grade in concentrate (as seen below). The SPD Vanadium Project is located in similar geological setting to the mining operations of Rhovan (Glencore), Vametco (Bushveld Minerals) and Mapochs (International Resources Ltd) in the Guateng and Limpopo provinces of South Africa. Of these, both Rhovan and Vametco processing plants feature refining to generate products used in the global steel industry, with an aim to develop downstream processing to produce materials used in the battery market. 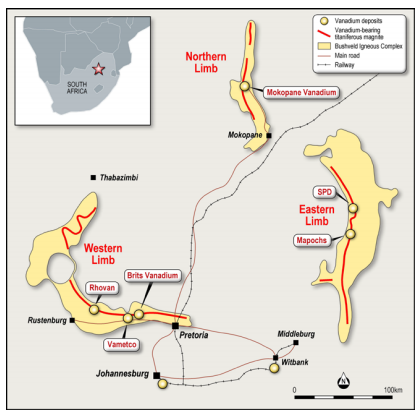 The SPD Vanadium Project is located only 30km from the currently dormant Mapochs mine, which has a processing plant and railway infrastructure.